N 78° 13' 24" and E 15° 38' 48"
Longyearbyen in Spitsbergen (Svalbard) with it's 2,060 habitants is a city located in Svalbard and Jan Mayen. It's the capital of this country. 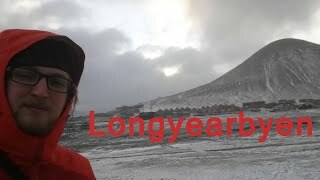 Current time in Longyearbyen is now 09:29 PM (Monday). The local timezone is named Arctic / Longyearbyen with an UTC offset of 2 hours. We know of 1 airports closer to Longyearbyen. The closest is airport we know is Svalbard Airport, Longyear in Norway in a distance of 3 mi (or 5 km). Besides the airports, there are other travel options available (check left side). To further explore this place, just scroll down and browse the available info. Let's start with some photos from the area. Longyearbyen bathed in sunshine. Soon the sun goes down and the dark days come back again. Copyright Dan Celius 2012. 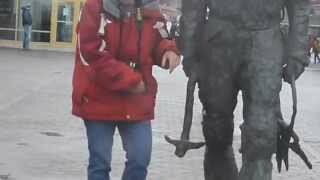 This video is about Longyearbyen, Svalbard, Spitsbergen & Barentsburg. 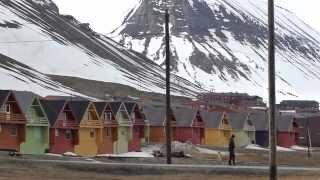 Longyearbyen, Svalbard, Arctic 78° North Northernmost permanent resident village on the planet. Summer - June, 2014. 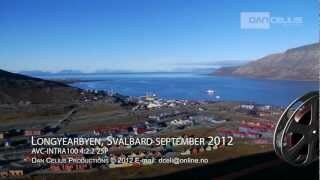 Discover the capital of Svalbard with me : Longyearbyen! Longyearbyen is the largest settlement and the administrative center of Svalbard, Norway. As of 2008, the town had a population of 2,040. Longyearbyen is located in the valley of Longyeardalen and on the shore of Adventfjorden, a bay of Isfjorden located on the west coast of Spitsbergen. Since 2002, Longyearbyen Community Council has had many of the same responsibilities of a municipality, including utilities, education, cultural facilities, fire department, roads and ports. Located at 78.22, 15.65 (Lat. / Lng. ), about 0 miles away. The University Centre in Svalbard is a Norwegian state-owned limited company that provides university-level education in arctic studies. 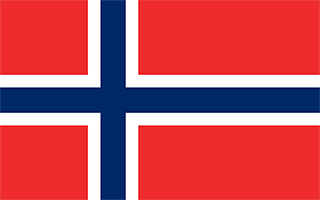 The universities of Oslo, Bergen, Tromsø and the Norwegian University of Science and Technology in Trondheim are represented on its board. The centre is known as UNIS and forms part of the University of the Arctic. It is led by a director appointed by the board for a three-year term. Located at 78.2227, 15.6519 (Lat. / Lng. ), about 0 miles away. Svalbard Church is located in Longyearbyen, Svalbard, Norway and is part of the Church of Norway and the world's most northern church. Built of wood, it was inaugurated in 1958. There was an older church that was destroyed during World War II. There is a minister and two other employees. There is no other church on Svalbard, but there is a Russian Orthodox chapel in Barentsburg. The minister visits other communities on Svalbard: Svea, and Ny-Ålesund. Located at 78.2199, 15.6195 (Lat. / Lng. ), about 0 miles away. Adventfjorden (Advent Bay) is a 7 km long and 4 km wide bay on the southern side of Isfjorden, on the west coast of Spitsbergen. The name is a corruption of Adventure Bay, which was probably named after the Hull whaleship Adventure, which resorted to Isfjorden in 1656. The fjord was originally known as Klass Billen Bay. At the head of Adventfjorden is Adventdalen. Located at 78.1667, 15.6667 (Lat. / Lng. ), about 4 miles away. Adventdalen is a 30-kilometre long valley that follows Adventdalselva (Advent Valley River) on the island Spitsbergen in Svalbard, Norway. The valley and the river flow into Adventfjorden and further into Isfjorden. The end of the valley is at Haugen in Longyearbyen, close to the University Centre in Svalbard. The valley originates from the mountains Slottet and Tronfjellet, under the glaciers Hellefonna and Drønbreen. It runs westwards tovards the Adventfjorden. Located at 78.2122, 15.8 (Lat. / Lng. ), about 2 miles away. Hotellneset ("Hotel Point") is a peninsula 1 to 2 kilometres (to mi) north-west of Longyearbyen in Svalbard, Norway, sticking out into Adventfjorden. It is the location of Svalbard Airport, Longyear and the port for shipping of coal from Longyearbyen. Above Hotellneset is Platåberget, which is the location for Svalbard Satellite Station. Located at 78.25, 15.4917 (Lat. / Lng. ), about 3 miles away. 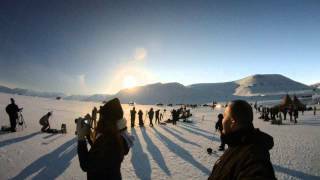 The Dark Season Blues festival is an annual event in late October at 78 degrees north in Longyearbyen in Norway, and marks the beginning of the dark season when daylight and the sun is about to leave Svalbard for four winter months. The first Dark Season Blues festival was arranged in 2003, and celebrated its 10th anniversary in 2012. It started out as a small intimate festival, and presented 15 bands spread on 17 events in 2010. 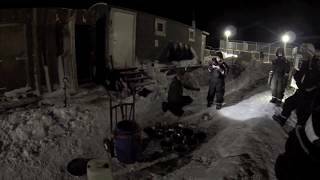 Nybyen is a small settlement located on the southern outskirts of Longyearbyen, on the island of Spitsbergen, in the Svalbard archipelago of Norway. The name is Norwegian and translates as New Town. Located at 78.2, 15.59 (Lat. / Lng. ), about 2 miles away. 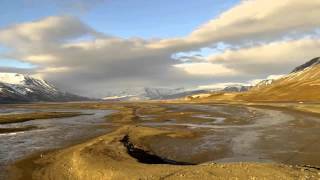 Longyeardalen is a valley and ravine located in Svalbard, Norway. It runs up as a side valley of Adventfjorden, a bay of the island of Spitsbergen. Longyeardalen is located between the mountains of Platåberget and Gruvefjellet. The town of Longyearbyen is located in the lower portions of the valley, which is named for the American industrialist John Munroe Longyear. The river of Longyearelva runs through the valley. Located at 78.2083, 15.6067 (Lat. / Lng. ), about 1 miles away. Longyearelva is a river which runs through the valley of Longyeardalen, passing through the town of Longyearbyen and draining into Adventfjorden on the island of Spitsbergen in Svalbard, Norway. It is named for the American industrialist John Munroe Longyear. Located at 78.1983, 15.575 (Lat. / Lng. ), about 2 miles away. Longyearbyen School is a combined primary and secondary school located in and serving Longyearbyen, Norway. The school has about 270 pupils and 45 teachers. Located at 78.21, 15.613 (Lat. / Lng. ), about 1 miles away. Hiorthhamn is an abandoned settlement located on the east side of Adventfjorden on the island of Spitsbergen in Svalbard, Norway. It served as a coal mining camp from 1917 to 1921 operated by De Norske Kullfelter Spitsbergen. The settlement was named for the company's director, Fredrik Hiorth. Muskox were introduced in the area from Greenland in 1929, and the camp took the name Moskushamn in 1938. It reverted to its original name in 2002. Located at 78.273, 15.705 (Lat. / Lng. ), about 4 miles away. Advent City is an abandoned settlement located on the east side of Adventfjorden on the island of Spitsbergen in Svalbard, Norway. It served as a coal mining camp from 1904 to 1917 operated by Spizbergen Coal and Trading Company Limited of Sheffield, United Kingdom. A single mess was built the first year, but additional buildings followed in 1905, including a bakery and two streets. All remaining buildings were moved to Hiorthhamn in 1916 and 1917. Located at 78.272, 15.615 (Lat. / Lng. ), about 3 miles away. These are the most popular locations in Svalbard and Jan Mayen on Tripmondo.